Former world No. 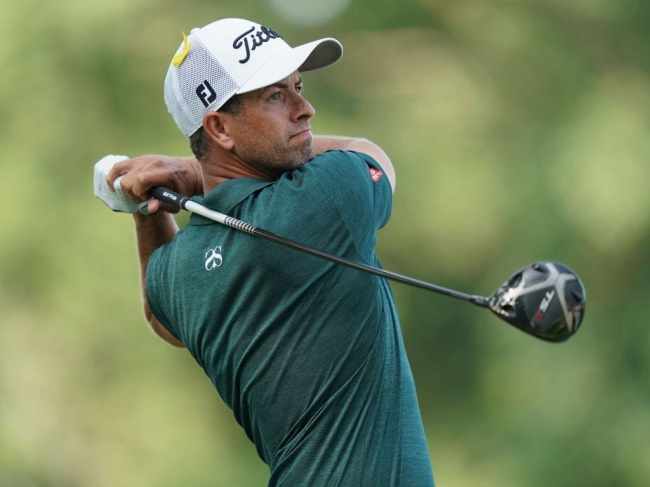 1 Adam Scott will play in the lone PGA Tour event in South Korea later this month, organizers said Monday. Scott, a 13-time PGA winner and the 2013 Masters champion, is among some big names to commit to the CJ Cup @ Nine Bridges, which is scheduled to run from Oct. 18-21 at the Club at Nine Bridges on the southern resort island of Jeju. This will be the second edition of the CJ Cup. Scott tied for 25th last year. The Australian finished the 2017-2018 season in good form, with a third-place showing at the PGA Championship and a fifth-place finish at the Northern Trust in August. Billy Horschel, the 2014 FedEx Cup champion who finished fifth this year, will head to the CJ Cup for the first time. The five-time PGA Tour winner was among the top three at three of the four FedEx Cup Playoffs events this past season. Also committing to the tournament on Monday was Hideki Matsuyama, the top-ranked Japanese player at No. 20. Matsuyama, who has five PGA Tour wins, will be making his CJ Cup debut. He finished inside the top 15 in each of the last five tournaments, including the season-ending Tour Championship. "I heard great things from my fellow players last year about the CJ Cup @ Nine Bridges, and I'm really looking forward to being back in Asia competing there this year," Matsuyama told the PGA Tour. "I hope to challenge for the win."